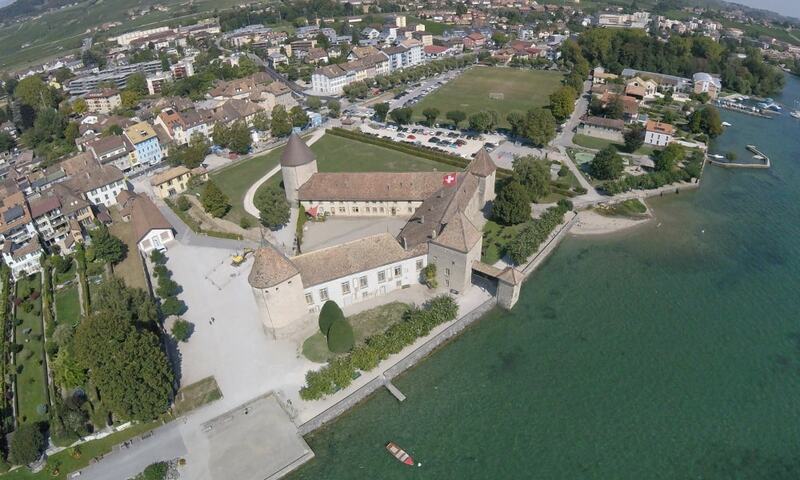 Rolle Castle was built in 1261 by the Lords of Mont to protect the pier at Lake Geneva. During the Bernese invasion, both Le Rosey Castle and Rolle Castle were attacked and burned. Under Bernese rule (1536-1798) Rolle was part of the bailiwick of Morges. In 1558, the Bernese merchant Hans Steiger, who was already the lord of Mont-le-Grand, acquired the barony of Rolle. His family retained the property until the French Revolution. Following the French invasion of Switzerland in 1798, Rolle became the seat of a district of the same name. In 1799 the Helvetic Republic bought the castle from the municipality and used it until 1974 as the seat of government.